What Happens in a Tie Game in Hockey? 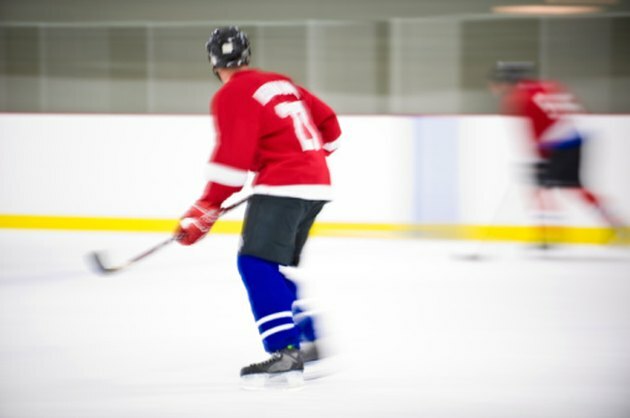 Hockey is 60 minutes of intense skating, shooting, blocking, checking and penalties. Sixty minutes is not always enough to decide the outcome of a National Hockey League game. Sixty minutes may also not be enough for the hockey fan as Forbes.com reports a drastic increase in hockey revenue and popularity. For this reason, the NHL enforces strict overtime rules and regulations to systematically determine the outcome of the game. The NHL plays three 20-minute periods. There are two 17 minute intermissions between periods. The official game timekeeper provides each team with five minutes notice before resuming the next period's play. A goalie, two defensemen, a center and two forwards are generally found on this ice during regulation with the exception of penalty time. Should regulation end in a tie, a five-minute overtime period is played. According to the NHL 2010-2011 Rulebook, the overtime period is sudden death. Sudden death means the first team to score a goal wins the game. Overtime hockey is played four on four. If neither team has scored at the end of the overtime period, a shootout occurs. In a shootout, three players from each team take penalty shots. The players are pre-selected by the coaches prior to the start of the game. Penalty shots are awarded in regulation when a player loses the opportunity to score on a breakaway -- a clear one-on-one opportunity -- as the result of a foul by a defensive player. The players participate in a three-round shootout. The team who scores the most penalty shots wins. If the game is still tied, the shootout becomes sudden-death. According to the NHL Rulebook, shootouts do not occur in playoff games. Twenty-minute overtime periods occur. These periods are sudden death. In NHL history, the longest overtime game reached six overtime periods. In the event of a tie in the NHL, each team is awarded a point. Points are recorded to determine league standings in the NHL. The winner of overtime will be awarded an additional point. In shootouts, goals are awarded to the team and are not recorded as part of an individual player's statistics. How Much Time Is Played During a Football Game?